Finding Kansas is a memoir like no other, written by an unlikely author who at first never dreamed he would find even one reader. When he was diagnosed with Asperger's syndrome at age 20, Aaron Likens began to collect his thoughts and experiences on paper - the highs, the lows, the challenges, and the unexpected joys. What he found was hope - not only for himself, but also for others with Asperger's. Now a sought-after speaker and blogger, he is passionate about sharing his insights into this often misunderstood condition. Aaron has another passion, too: the world of auto racing. A successful flag man at racing events across the country, Aaron calls racing his Kansas - a place where he feels safe, confident, and normal. For others on the autism spectrum, Kansas might be trains, history, or the weather. It is here where, like Aaron, they find freedom, and the possibility for growth and change. 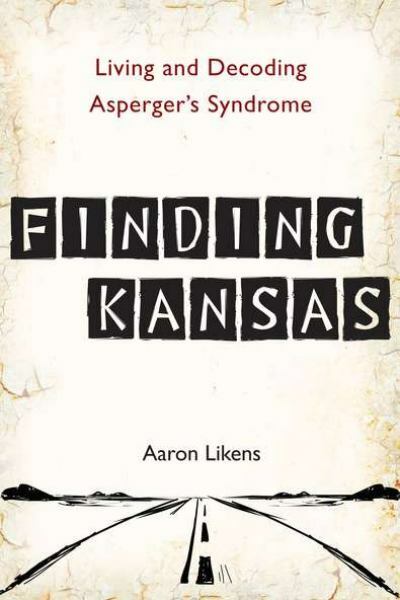 Finding Kansas brings us into Aaron's world and, in the process, offers a richly observed, deeply thoughtful, and sometimes painful picture of what it's like to live on the autism spectrum.